Silver oval rolo necklaces. . Sterling silver women's jewelry for sale. Section dedicated to our sterling silver oval rolo link necklaces, in various dimensions. 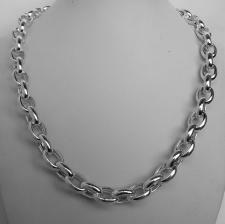 Buy silver jewelry directly from the factory, with an excellent weight/price ratio. 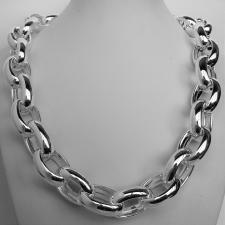 Sterling silver oval rolo large link necklace 20mm. Hollow chain. Oval belcher necklace. 123 grams. 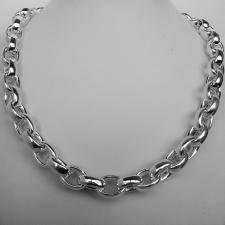 Sterling silver oval rolo link necklace 10mm. Hollow chain. Oval belcher necklace. Sterling silver oval rolo link necklace 13mm. Hollow chain. Oval belcher necklace. 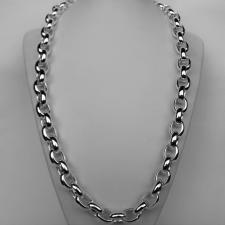 Sterling silver oval rolo link necklace 13mm. Length 60cm. Oval belcher necklace. 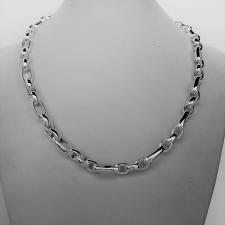 Solid sterling silver oval rolo link necklace 5mm. Oval belcher necklace. 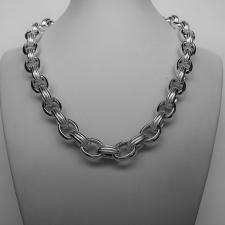 Sterling silver oval rolo link necklace 14mm. Hollow chain. Compact link. Oval belcher necklace. 140 grams. 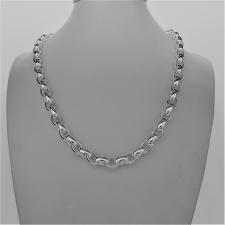 Sterling silver oval rolo link necklace 8,5mm. Hollow chain. Oval belcher necklace. 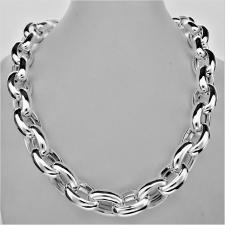 Sterling silver oval rolo link necklace 11,5mm. Hollow chain. Compact link. Oval belcher necklace. 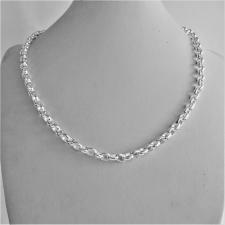 Sterling silver oval rolo link necklace 7,5mm. Hollow chain. Compact link. Oval belcher necklace. 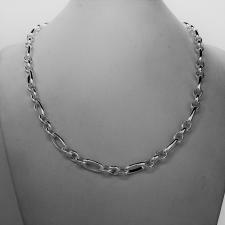 Sterling silver textured oval rolo link necklace 13mm. Hollow chain. Oval belcher necklace. 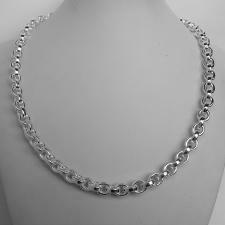 Solid 925 silver, oval rolo necklace 3+1, 6mm. 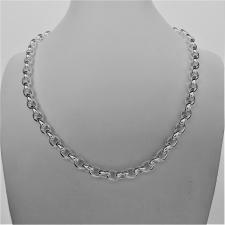 Solid 925 silver, oval rolo necklace 3+1, 7mm. 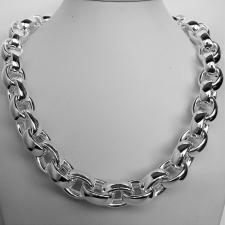 Solid sterling silver oval rolo link necklace 6,5mm. Oval belcher necklace. 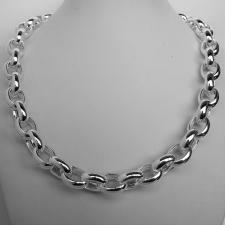 Solid sterling silver oval rolo link necklace 7,5mm. Oval belcher necklace. 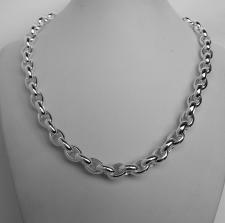 Sterling silver oval rolo link necklace 15mm. Hollow chain. Oval belcher necklace.